Take a look at that grin. Is this man happy? You may remember Dan Bigley. 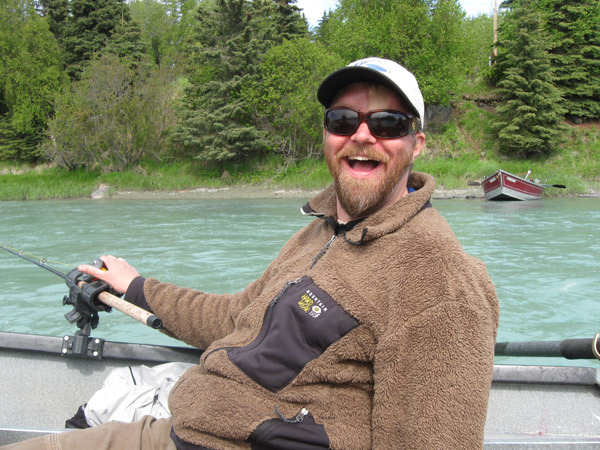 His was a household name in 2003 when a severe bear attack at the close of a perfect day spent fishing the Russian River not only shocked Alaskans but rerouted this young man’s life. Bigley and writer Debra McKinney have collaborated on the telling of his story in a new book, “Beyond the Bear,” that richly colors in the post-headline drama, from emergency room to slow recovery, from lost love to wedding day, from new career to two towheaded children. Join host Kathleen McCoy when Dan and Debra, and the doctor who stitched him back up, visit Hometown Alaska to share this amazing story of resilience and commitment. Bring your questions!